Sick to death of all this shocking weather, either not going out or spending more time cleaning my bike and kit rather than riding it. Pedaling a MTB on the road is not much fun so, I have purchased a road bike - not been on one for about 40 years !!! How will I get on with it, who knows. Anyway here it is - picked it up today from Swinnerton Cycles in Stoke. The speed will surprise you. Very nice, I did the very same but bought a Trek 1.5. It is Clay soil mainly round by us so the trails turn into a swamp over the winter. The road bike has kept me fit and once I had set it up properly, changed the saddle and upgraded the brakes it has been a great bike. 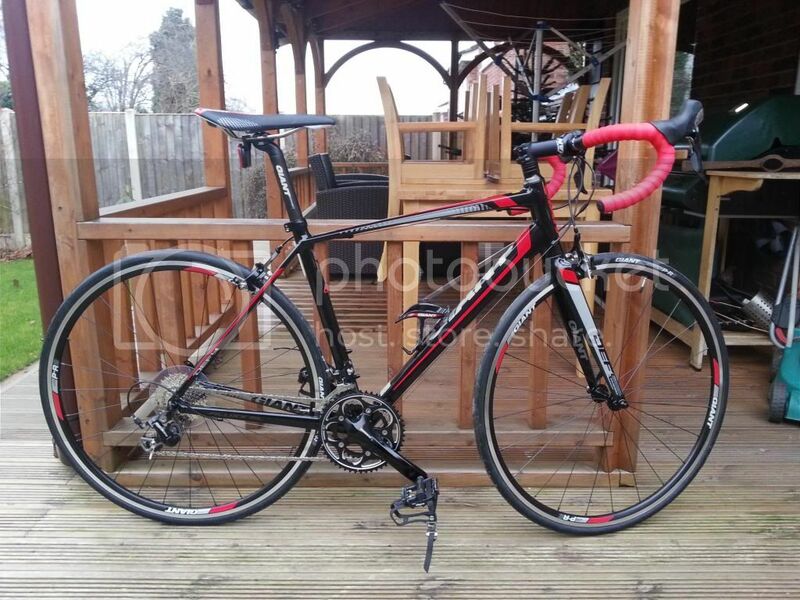 Very nice Bought a s/h road bike myself last week as I was sick of getting pothered in mud every time I went out.